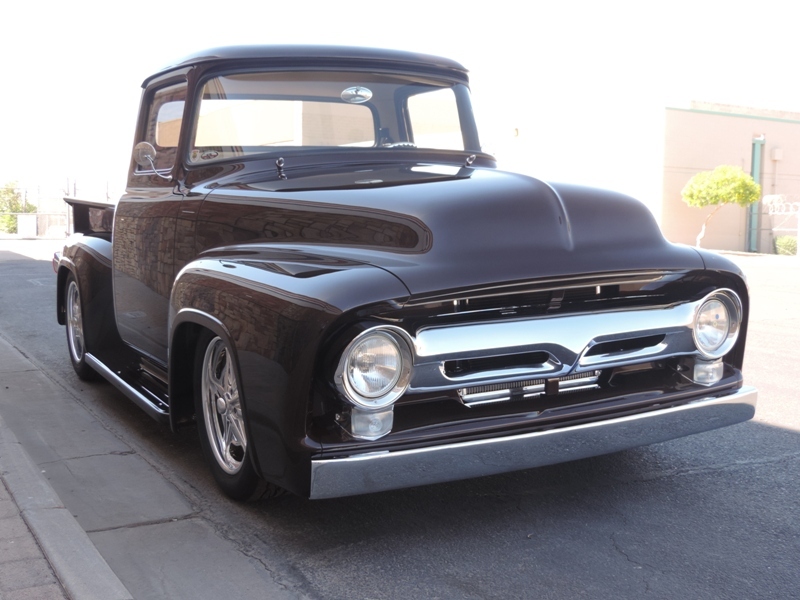 This clean and sharp 56 Ford truck was selected as a finalist for the Goodguys’ Late Truck of the Year award. In April, 2014 at the Goodguys’ Del Mar, California show, this truck was selected as Goodguys’ first finalist for this award. This previous article covered the Del Mar show. Read the eBay Motors article for the full details on this build and the owner’s history with Ford trucks. The truck was also entered at the Grand National Roadster Show in Pomona, California where it won its class and was named Truck of the Show. Goodguys Rod and Custom has numerous awards and picks at their nationwide shows, and none are more sought after than winning a National Award. Throughout the balance of their show circuit, other trucks will be named finalists. At their last show of the year in Scottsdale, AZ in November, 2014 they will announce the selected winners of many of these yearly awards. Goodguys also selected a 31 Ford as an Early Truck of the Year finalist. Here is a short YouTube video on THAT truck. 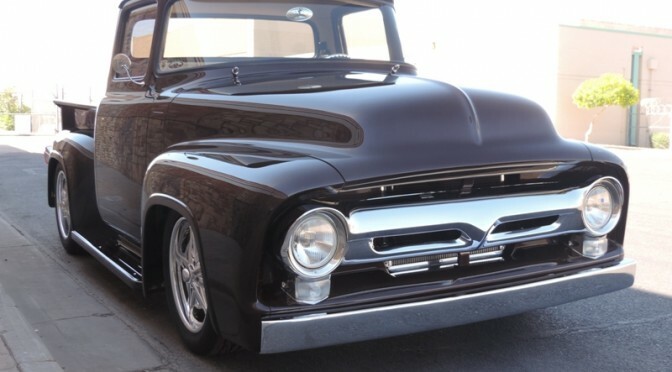 The owner of the root beer brown 56 Ford truck selected Charlys Garage in Mesa, AZ to restore this gorgeous truck. Charlys Garage is truly a one stop shop and all word was done in-house. Here is the link to our article on eBay Motors. Let us know what you think.